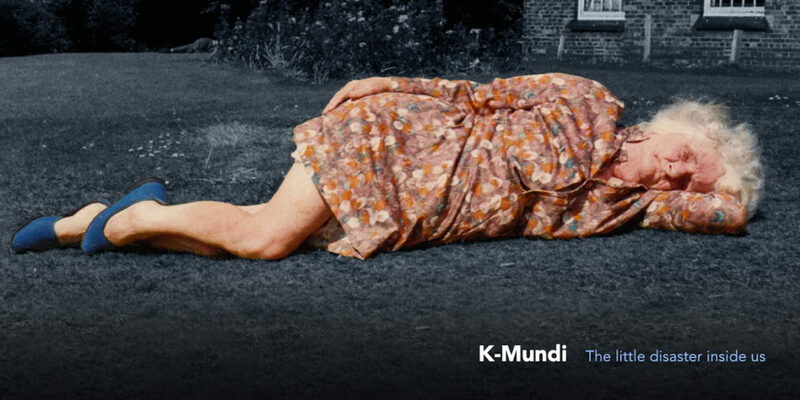 K-Mundi make (mostly) improvised music with a post-postmodernist approach, using acoustic, electronic, and electroacoustic instruments. Their first album “The little disaster inside us” was published by OffLabel. Økapi (Filippo Paolini) is among the most relevant turntablists and sampling artists since the early ’90s. He performed or recorded with Metaxu, Dogon, Zu, Christian Marclay and others. He produced several albums, in a wide variety of styles and ways of treating the audio material, ranging from orchestral and lounge music to the most bizarre experimental stuff. Adriano Lanzi, guitarist and electronic performer, has released albums and tracks on Klangbad, Off and other european labels, with projects and bands ranging from rockjazz to world music. Among his studio and live collaborations: Geoff Leigh, Amy Denio, the griot and kora virtuoso Siriman Kanoutè, and others. Marco Ariano is a percussionist, sound researcher, and “composer of improvised music”. walking down a path along the border of music and philosophy. He writes pieces that imply poetry and staging elements as well as sounds. Among his many collaborations: Alvin Curran, Elio Martusciello, Vincent Courtois, Don Moye. 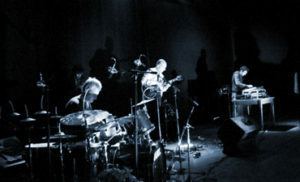 The trio first appeared together in a concert produced by the Circuiterie Collective (www.circuiterie,com) at the Nuovo Cinema Palazzo in Rome, with Geoff Leigh (of Henry Cow fame) as a special guest on sax and flute. The concert was aired in the program Battiti , RadioTre. Occasionally (on demand and according to the technical facilities of the stage and venue) the group can work with Simone Memè on live visuals.